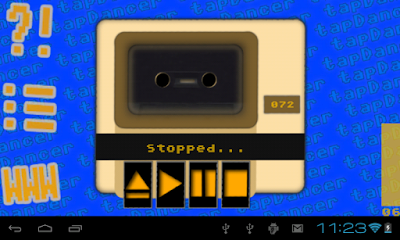 In short, tapDancer is an application for Android that allows you to use a cassette adapter to load a variety of tape images (Commodore 64/128, Sinclair ZX Spectrum, Acorn/BBC, MSX, Atari) on retro home computer. Sure, it's not the only solution available for dealing with annoying .TAP/.T64/.PRG/.TZX/.UEF/.CAS files (a variety of new hardware alternatives also exist) but being short of cash I decided to give this free application a thorough test to see if it really is a viable option for retro computer fans. After installation (and investment in a cheapo CD -> Tape adapter from eBay), the process starts with you selecting a tape file and the program automatically converts it to an audio file suitable for sending to your home computer of choice. Then you may load from your chosen platform in the appropriate manner for standard tape devices. I would suggest enabling the new 'auto pause' feature as it will stop at every halt signal within your chosen file leaving you to continue the loading process in your own time otherwise the results may be hit or miss (particularly with multi-load games). I did have to fine tune my datasette a few times to get it working but once all the equipment was set up the process of loading games was really simple. I have since loaded dozens of programs with this method and as yet have not needed to play with any of the advanced settings. There is even the option to utilize a turbo tape function, but I personally had no requirement to use it. I even had success with loading standalone .PRG files on my Commodore 64 such as the 16KB version of Super Bread Box. 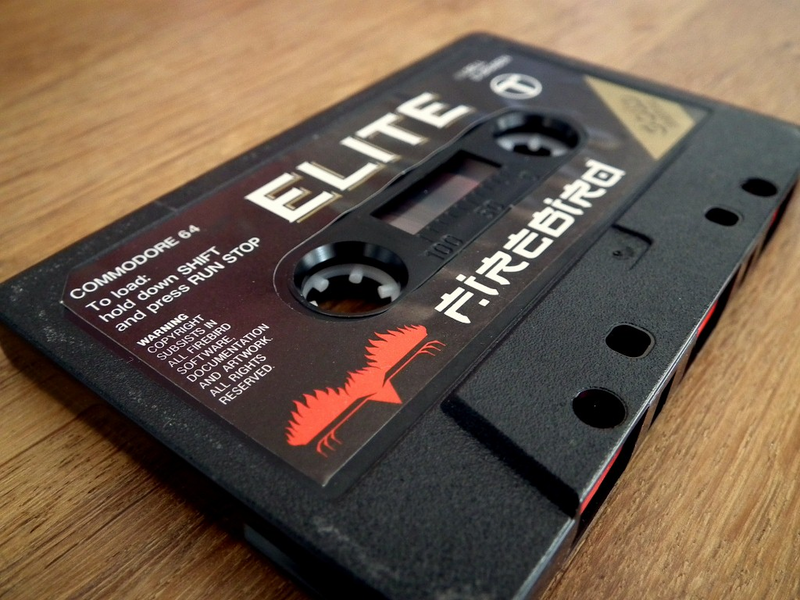 In conclusion, downgrading your cutting edge smartphone to an 8-bit datasette via this application provides a really nifty way to load games on your classic micro computers. Some devices may struggle to output a loud enough tone for the ZX Spectrum (as my LG handset did) but I simply used an amplifier to boost the volume. The developer (or development team?) 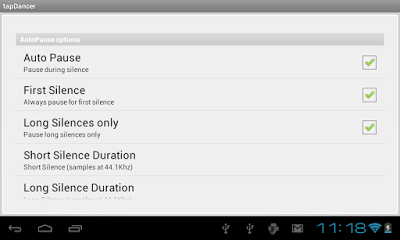 Kicaco are very approachable and responded via personal email to my feature requests; I actually suggested the inclusion of auto pause based on my experience using the PC to convert, play and pause files and they implemented it within two weeks. Obviously this isn't the perfect backup loader for all file types but for the bargain price of free it's certainly worth giving a go in regards to tape files. I have had some good fun with this one (Editor: which is more than I can say for using actual tapes). Download the application here (from Google Play). Editor's note is stating the bleedin' obvious. Nearly all of the conversations that I've had about cassette loading and saving revolved around general unreliability of the medium and the inevitable ?TAPE LOADING ERROR IN LINE 0 error message. There are a few people who *like* the format, but they are in the minority. I can think of maybe four people who like cassettes, mostly for the nostalgia of the big boxes more than the actual loading times or the reliability of the medium. My datasette is in a permanent state of disassembled! I literally have to tune it in every time. Also regarding multiloads... ever play R-TYPE?... die, rewind, die, rewind. ugh.